Rhett Jeppson signed PF70 Gold American Eagle Proof coins and sets have become popular items for numismatic collectors to include within their portfolios. Having served twenty-eight years with the United States Marine Corps (USMC), Jeppson served as Mortar Platoon Commander, Riffle Platoon Commander, Principal Battalion Staff Officer, spent his last two years, as Lead Crisis Response Planner at the U. S. European Command Center. When he left active service with the USMC in 2012, he joined the Small Business Administration (SBA) where he provided service as Associate Administrator in the Office of Veteran Business Development. He rose to the position of SBA Acting Chief Operating Officer in 2014 and in 2015, he was nominated by President Obama to become the 39th Director of the U.S. Mint. While waiting for Senate Committee approval and a vote, he was given the title of Principal Deputy Director. He was subsequently approved by the Senate Banking Committee, but as has been the case since 2011, partisan politics prevented his nomination as Director from coming to the Senate floor for a vote. Jeppson’s life-long dedication to the service of America is directly responsible for the popularity of Rhett Jeppson signed PF70 Gold American Eagle Proof coins. Rhett Jeppson signed PF70 Gold American Eagle Proof coins are the perfect addition for numismatic collectors interested in true Americana. Rhett Jeppson not only leaves behind a long and distinguished track record of success, but he also managed to leave each one of those positions in a better condition than when he had arrived. In spite of the partisan politics, which prevented him from serving a five-year term as Mint Director, during his two-year stopgap term, Jeppson not only managed to increase Mint profitability by an average of more than $200 million per year, when compared to the previous two years, but he also managed to overcome supply issues and return the very popular Platinum American Eagle to production. 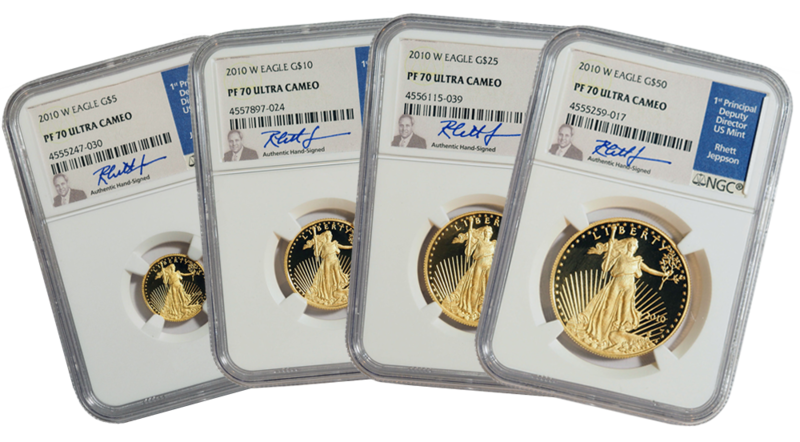 These are just a few examples supporting the growing popularity of Rhett Jeppson signed PF70 Gold American Eagle Proof coins and sets. Rhett Jeppson signed PF70 Gold American Eagle Proof coins and sets represent the same American strength, determination, and resolve exemplified by his entire career of service. Under his watch, Jeppson was responsible for the creation and release of the 2017 Gold American Liberty Coin celebrating the Mint’s 225th year. The design was the first to celebrate Lady Liberty as an African-American woman. The decision is still hotly debated and yet another reason for serious collectors to possess Rhett Jeppson signed PF70 Gold American Eagle Proof coins and sets. Rhett Jeppson signed PF70 Gold American Eagle Proof coins and sets are a clear cut representation of the best America has to offer. The coins and sets make highly appreciated and life-long presents for graduations, birthdays and any type of event worthy of a truly special, valuable, and memorable gift. Make an investment in America. First time callers, 5% OFF! 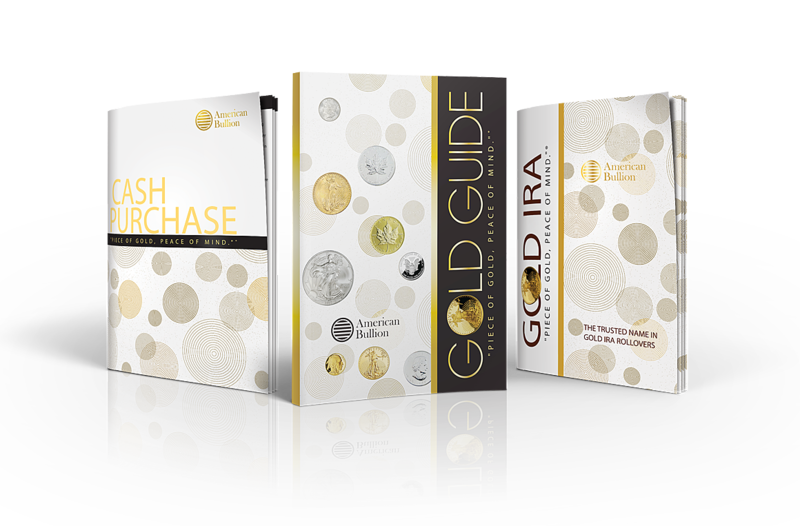 Call American Bullion with any questions, and if you place your order within the first 3 days, ask for your 5% OFF!